Being in Paris is being in the City of Cheese. If you're from a country that rates pizza mozzarella as a culinary delight, you might need some help deciphering the cheeses found in Paris fromageries, food stores, and restaurants. There are eight categories of cheeses in France, called, les huit familles de fromage, and fifty-six of the country's 1,000 (more or less) cheeses are classified, protected, and regulated under French law. The majority are Appellation d'Origine Contrôlée , the highest level of protection. Here we present a cheesy cheat sheet to study before you come to the Land Of A Thousand Cheeses. (It's somewhat surprising that a French Wilson Pickett didn't record a song with that title.) It's hard to pinpoint the top ten cheeses of France — it's really a fool's errand, though, unsurprisingly, we're up for it! — but this will give you a bearing when you're lost in the land of cheese. And, in another article, we reveal the top fromageries de Paris. 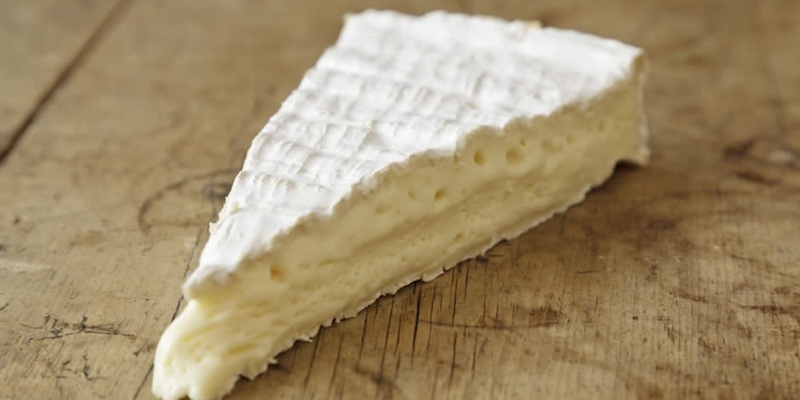 Camembert is one of the first cheeses we associated with France, no wonder it tops the list at number one. The cheese hails from Normandy, the northwestern tip of France where plentiful rain, gentle sun, and humidity produce the nutritious grass on which the Normandy cows feed. 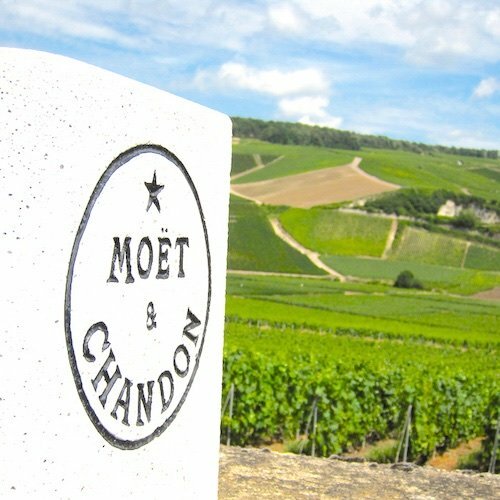 The milk is the foundation for the famous Normandy butter, cream, and its noble cheeses Pont l'Évêque , Livarot, and Camembert (the latter achieving AOC status in 1983). The way to judge a Camembert is by its shape, aroma, texture and taste. The shape should be intact and the rind covered in white mold. The interior should be creamy and supple and give slightly to the pressure of your fingers. The aroma should be slightly moldy and the taste full-bodied and salty. The region of Brie, 130 miles east of Paris, has a long tradition of cheesemaking. 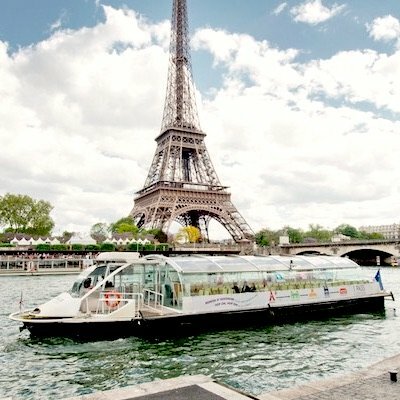 One boost to its early cheesemakers was Brie's close proximity to Paris, which made the shipping of cheese easier and more economical. 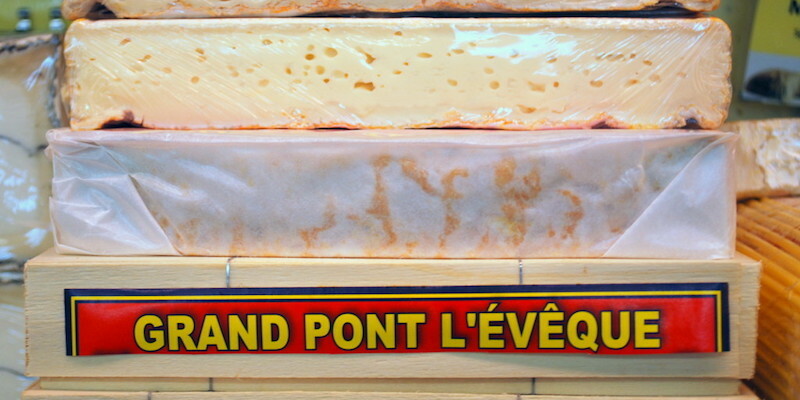 When Brie de Meaux is ready for market, at least 50% of its thickness is ripened. 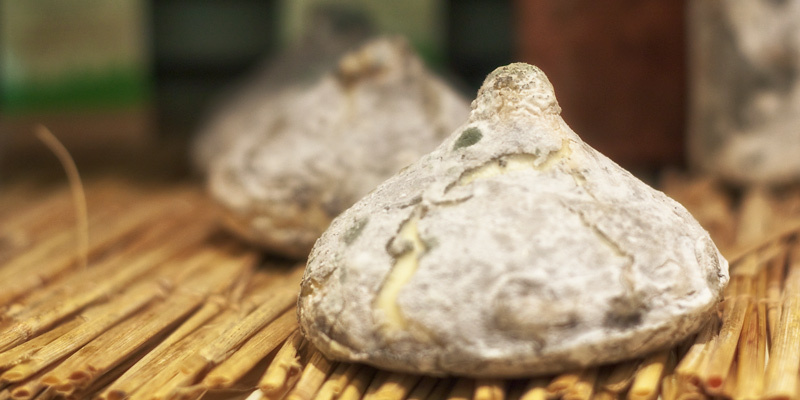 It's a refined cheese with a gentle aroma — the rind has a white velvet mold, and when it is very ripe the top and sides will turn slightly red. The interior texture is compact and the color of yellow straw. 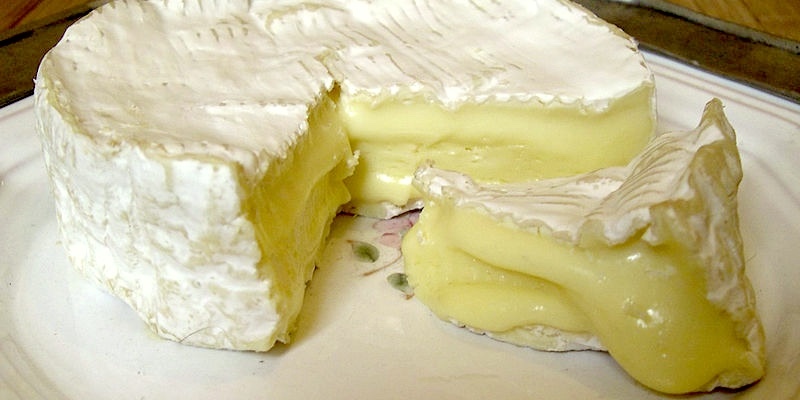 Brie must be aged within the AOC regions to receive the designation. We have Charles VI, back in 1411, to thank for granting the people of Roquefort the monopoly on ripening this cheese in their caves, as they had already been doing for centuries. 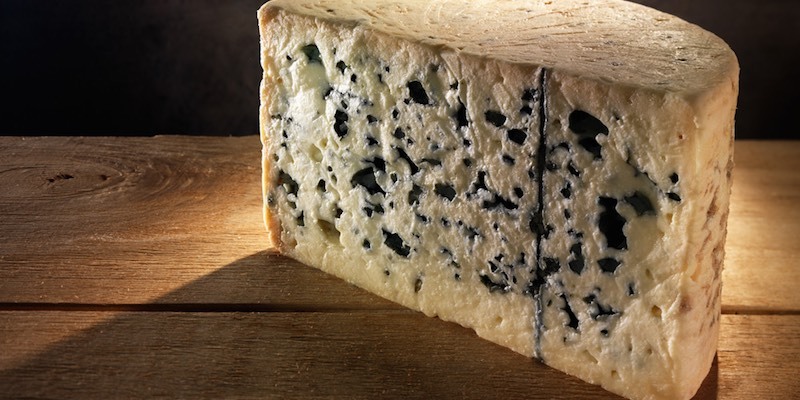 Five centuries later, in 1925, Roquefort cheese obtained the very first ever AOC in France. With plenty of fakes on the market, it was decreed that the only true Roquefort cheese has to be ripened in the natural caves of Mont Combalou in the commune of Roquefort-sur-Soulzon. Roquefort is considered one of the three best blue cheeses in the world, along with Stilton and Gorgonzola. The blue cheese has a clean, forceful flavor; it should melt in your mouth with a pleasurable aftertaste of mold and salt. As it's a rich cheese, it's best eaten at the end of meal. Fresh, young, and tender are the signature features of this mountain cheese from the Savoie, on the eastern border of France.The name is derived from the French verb reblocher, which means "to pinch a cow's udder again." 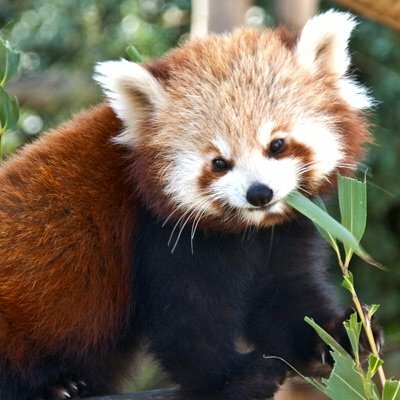 (Of course you already knew that.) That lets you understand that Reblochon is made from the thick, rich milk of the second milking. 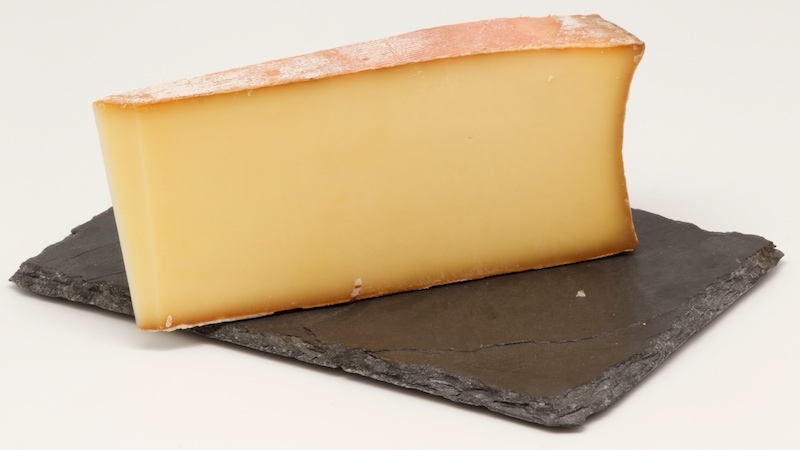 Reblochon has an orange-yellow color with a velvety rind and an ivory interior. The fresh, clear aroma leaves a delicate nutty aftertaste. Not for the faint of heart, this pungent cheese is famous for its strong odor and its soft, smooth interior, with a consistency almost like melting chocolate. 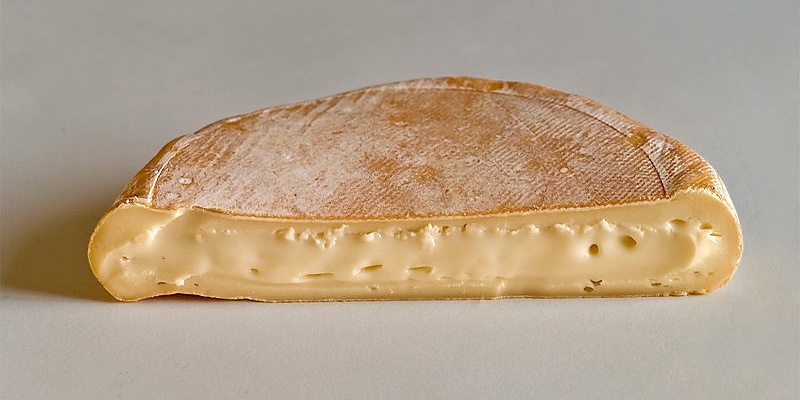 The brick-red rind reveals a golden, barely sweet, and slightly sticky interior. In its native regions, the cheese is tamed by serving it with potatoes and cumin. Made on either side of the Vosges mountains, in Alsace it's called Munster while in Lorraine it's known as Gerome. In 1978, an AOC was given to Munster-Gerome, uniting the two cheeses. 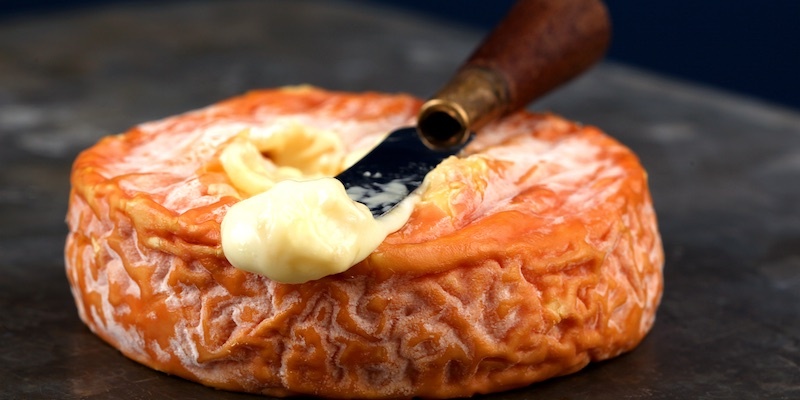 A diarist from the 12th century wrote that, "a good table always ends with dessert d'angelot", possibly the old name for Pont l'Évêque cheese. During the 17th century, the soft, flavorful cheeses from the Calvados region of Pont l'Évêque (in Normandy) were popular and sold throughout France. It takes three quarts of milk to make just one 12-ounce square of the cheese. Pont l'Évêque may well be the oldest Normandy cheese still being made. This was one of Napoleon's favorite cheeses and he enjoyed it with his favorite Burgundy wine, Chambertin. It's a strong-smelling cheese with the aroma of marc (brandy) and the flavours of salt, sweet, metal, and cream. If you can find it, buy the artisanal cheese made in the village of Gevrey-Chambertin in Burgundy. Comté is the richest-flavoured cheese on this list, and one of the most popular cheeses in France. Traditionally, it was made in the mountains of the Jura in eastern France, where farmers take their milk to local cooperatives. The surface of the cheese is flat with a cool, ocher-colored rind. When cut, it reveals a firm interior that melts in the mouth with a sweet aftertaste. The salt levels are balanced with a nutty tang. Comté is used as an universal cheese — in appetizers, salads, ands andwiches like croque-monsieur. The red casein label ensures its quality and gives details of its place of production, fat content, and the license number of the maker. 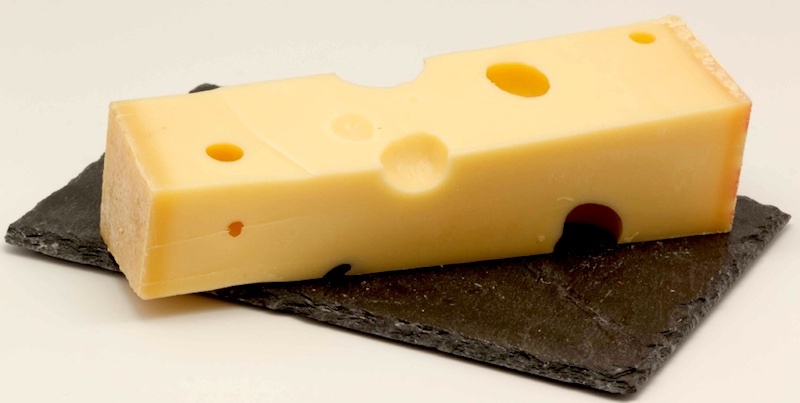 Like Beaufort and Comte, Emmenthal is made using raw milk in the France-Comte, Rhones-Aples, Champagne-Ardenne, Bourgogne, and Lorraine regions of France. The interior is smooth and the aroma and taste are smooth and sweet. This is another cheese that can be used in a number of cooked dishes, including gratins and fondues. 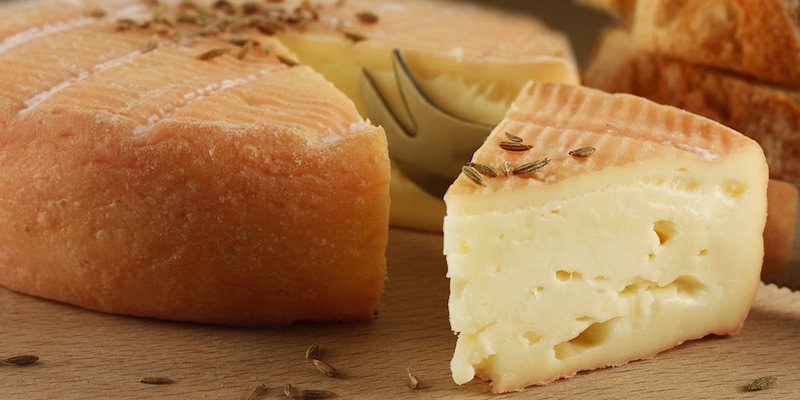 The mountain cheeses from the Haute Savoie region of the Rhone-Apes are made from breeds of cows with great French names — like the Abondance, Montbeliard, and Tarine breeds — and with strict rules surrounding how the animals must be fed. 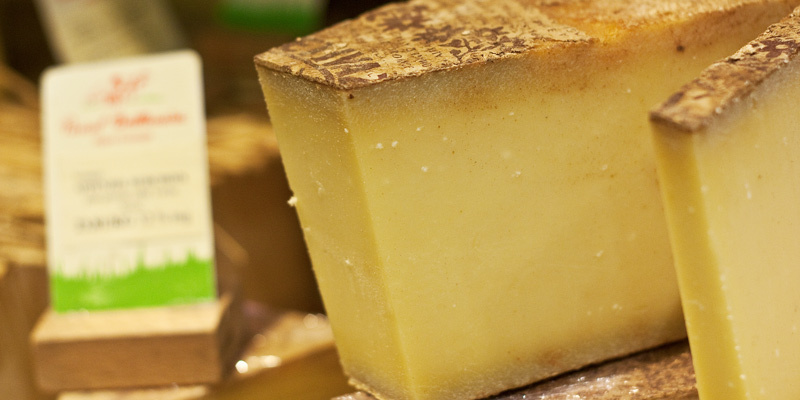 Abondance is made in Alpine chalets and has a strong aroma with a complex flavor and a balance of acidity with a long aftertaste. The crust, including the grey layer beneath should be removed before consuming. The bonus cheese is also our personal favorite. Chevre, or goat cheese, is made throughout France in shapes and sizes that range from coin-size pieces wrapped in ash and grape leaves to large, fresh, ripened cheese resembling feta. Most famous of all are the Chevres de la Loire (AOC). The Loire River that flows into the Atlantic ocean is 629 miles long, the longest river in France. The delicate chevre made throughout the verdant Loire Valley includes Crottin de Chavignol, shaped like a drum; Sainte-Maure de Tourtaines, a thick stick covered with powdered oak and charcoal; Selles-sur-Cher covered with charcoal ash; and Valencay, where a small black pyramid chevre is made, with its own AOC.